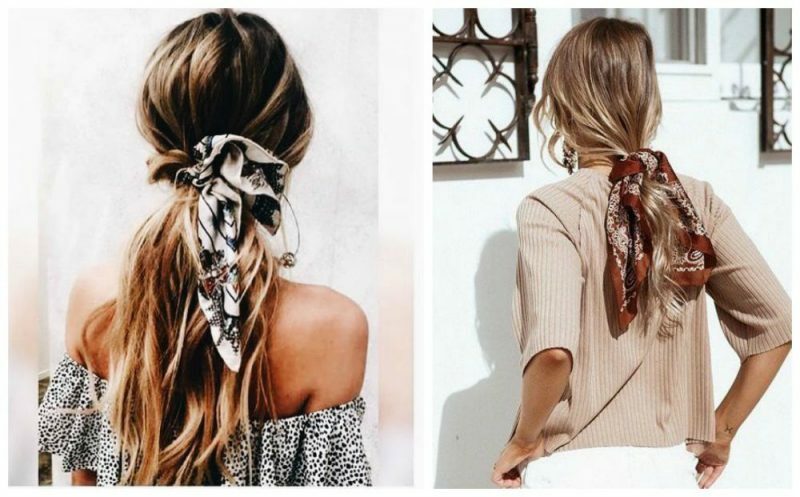 I am so into these ideas! 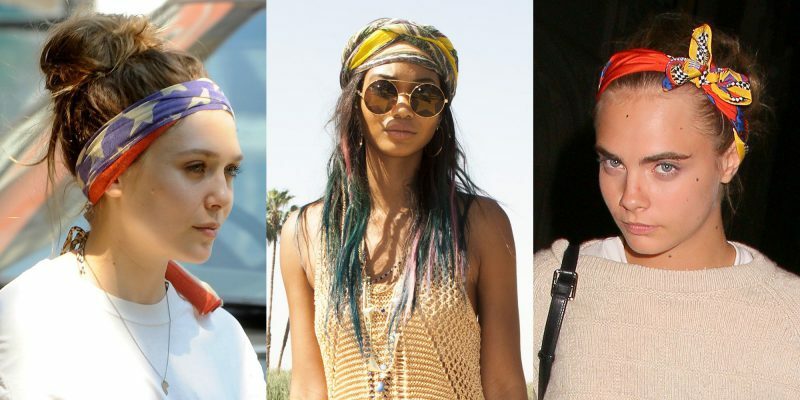 I personally love using my headscarf as a headband to keep my hair back in a cute way. 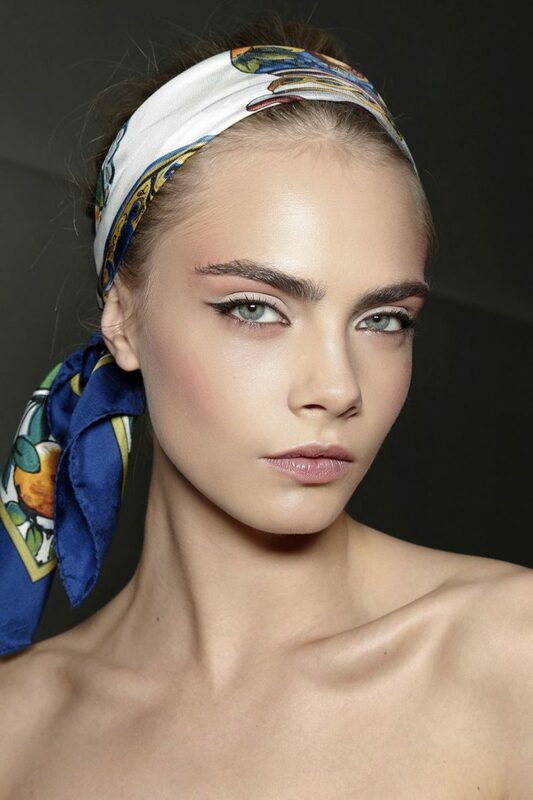 Most of these looks are easy to do, but I know, there are the ones that are a little bit complicated to do. 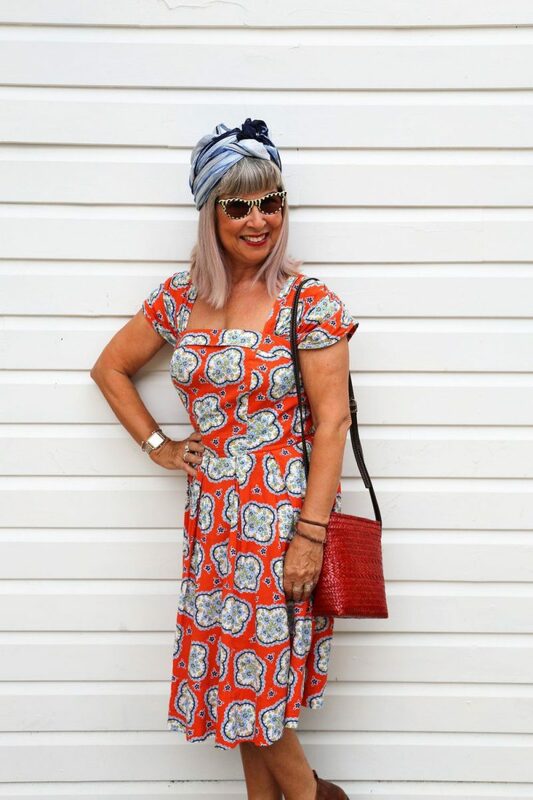 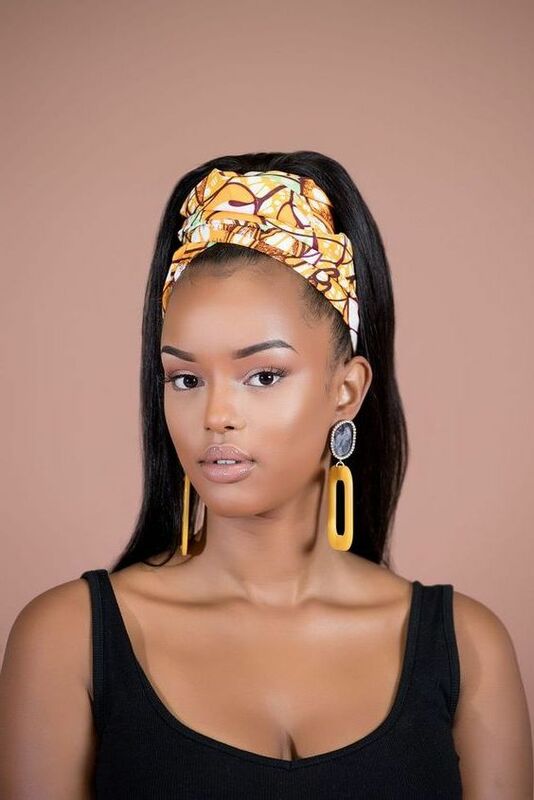 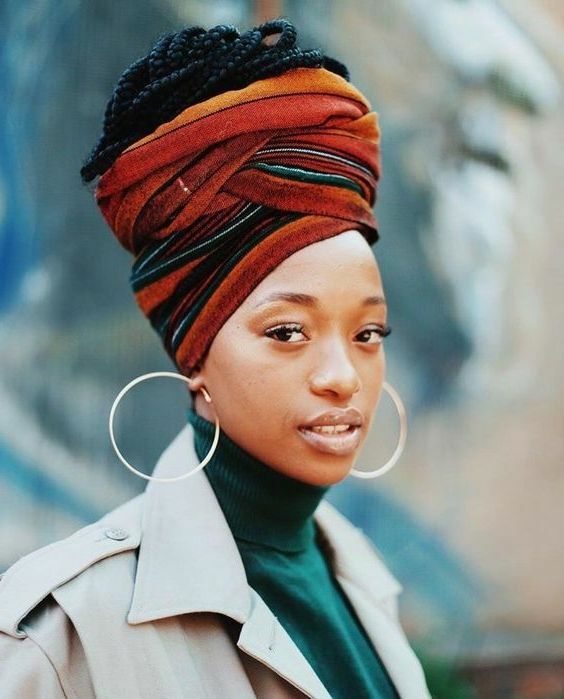 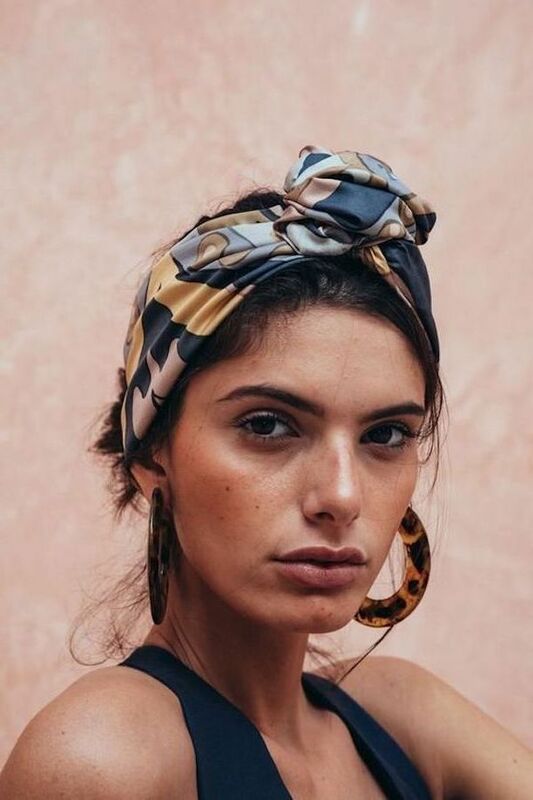 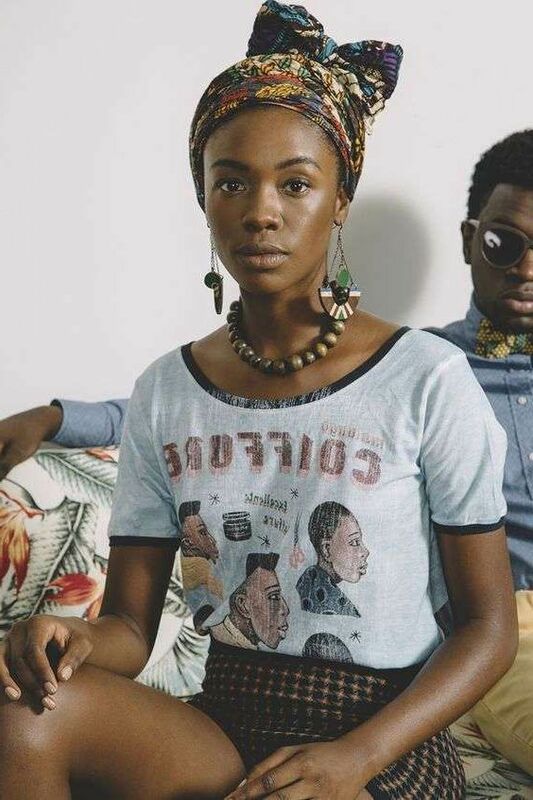 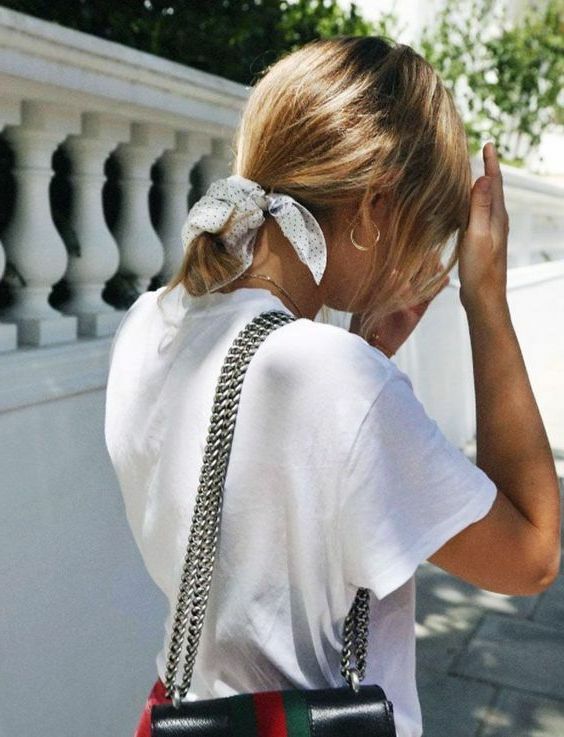 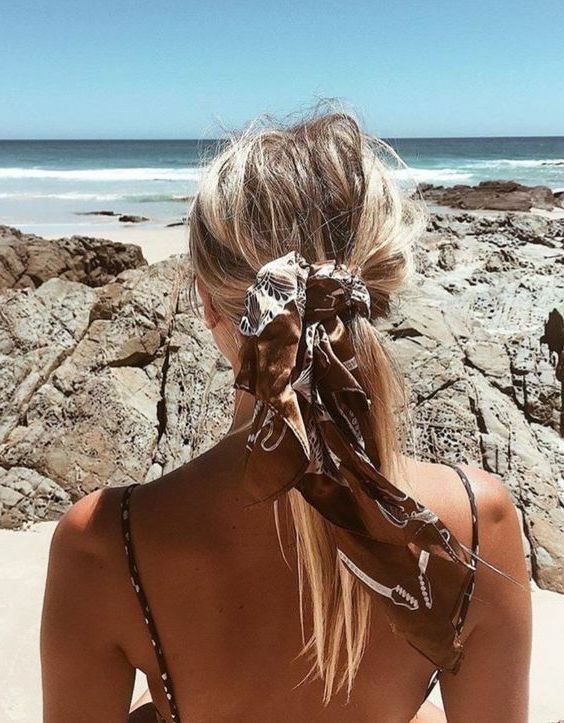 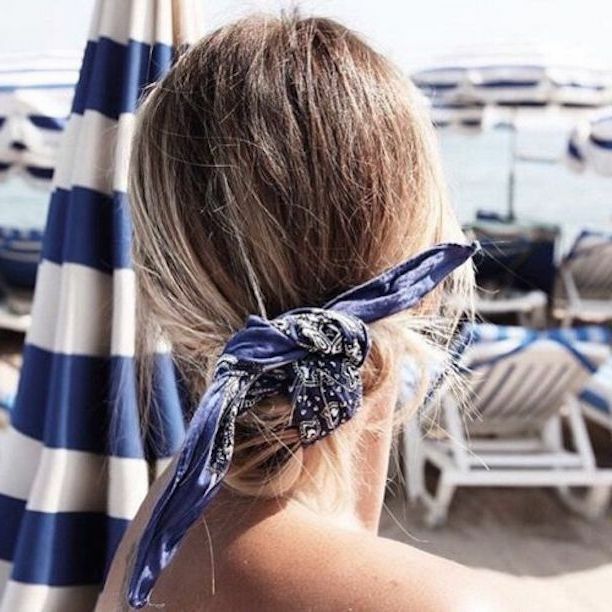 It is fair to say, the headscarves are something both like a throwback fashion moment and a culture thing, that’s why it’s always great to have the right dose of inspiration. 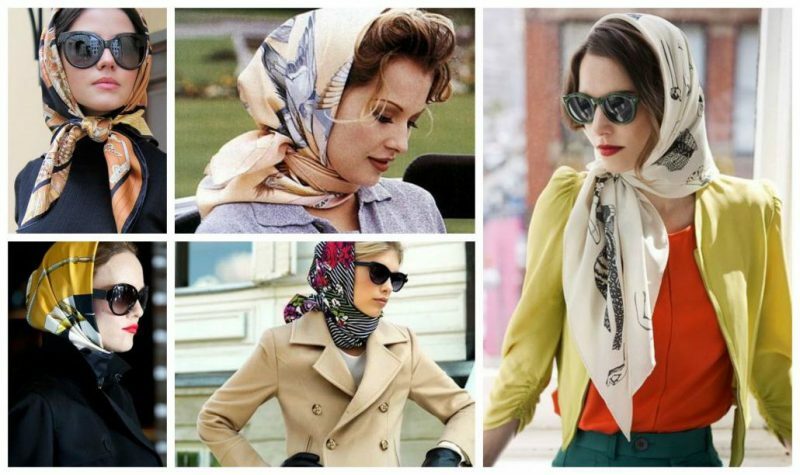 Why do women wear headscarves? 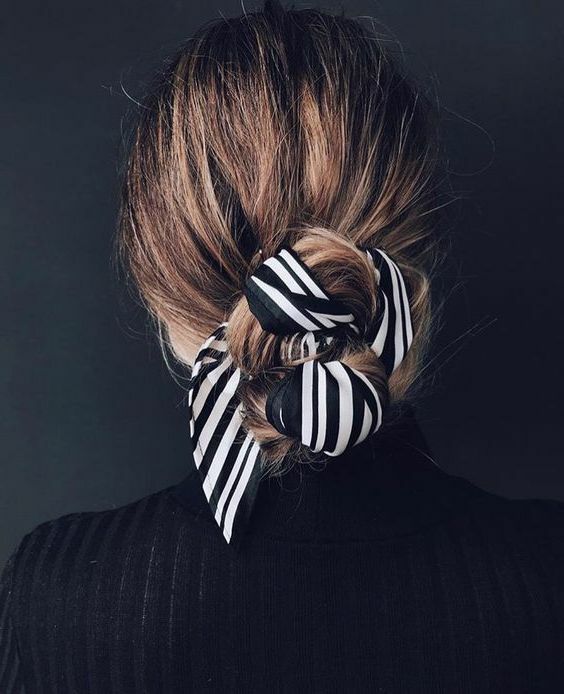 There are several reasons why: all because of dirty hair, bad hair day, bad haircut or simply for creating a fabulous look. 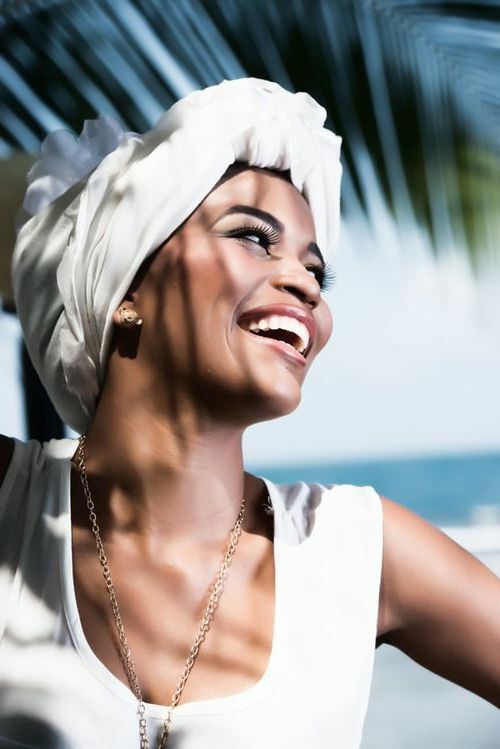 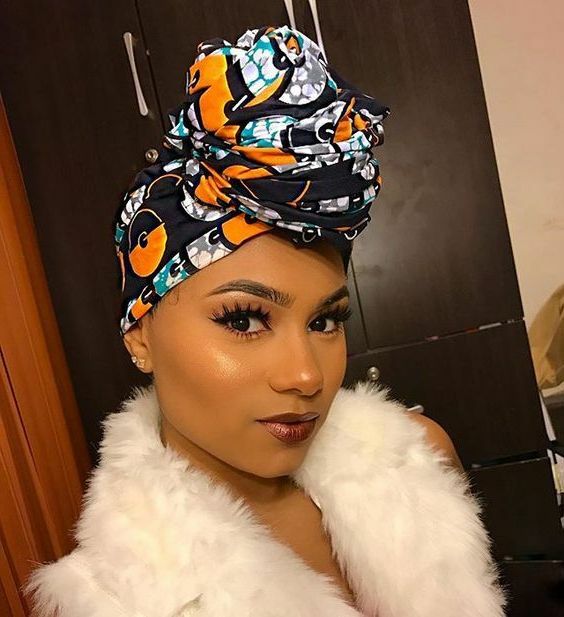 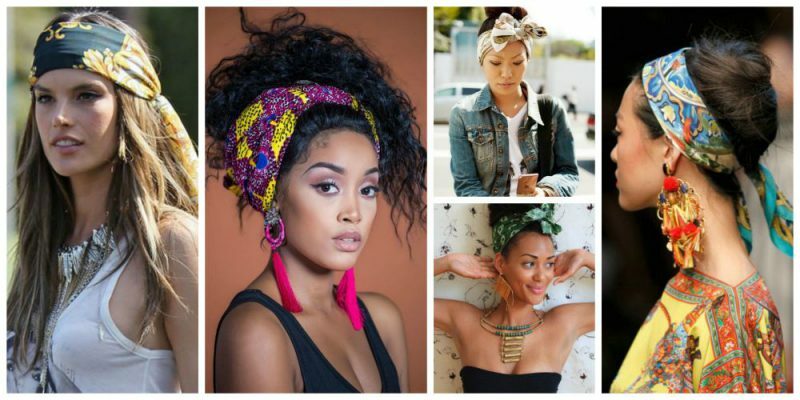 So, we are here to talk about a lovely look you can recreate with a headscarf this year. 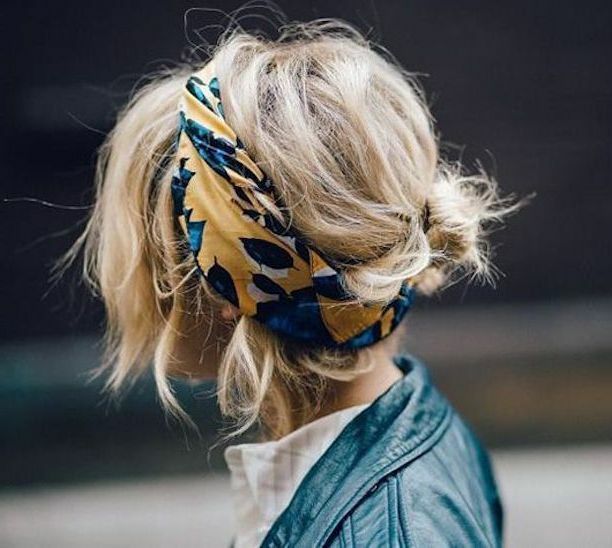 If you do like to make a style statement, then you definitely should try one of these ideas. 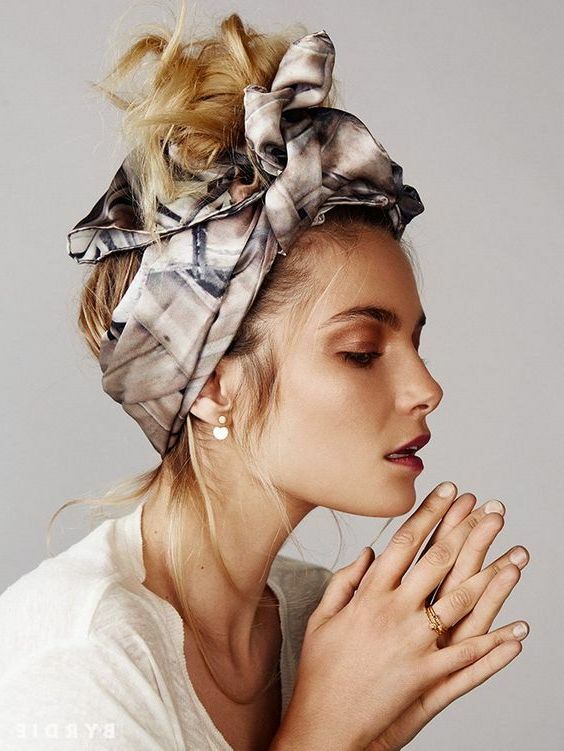 Go for a bun with a headscarf. 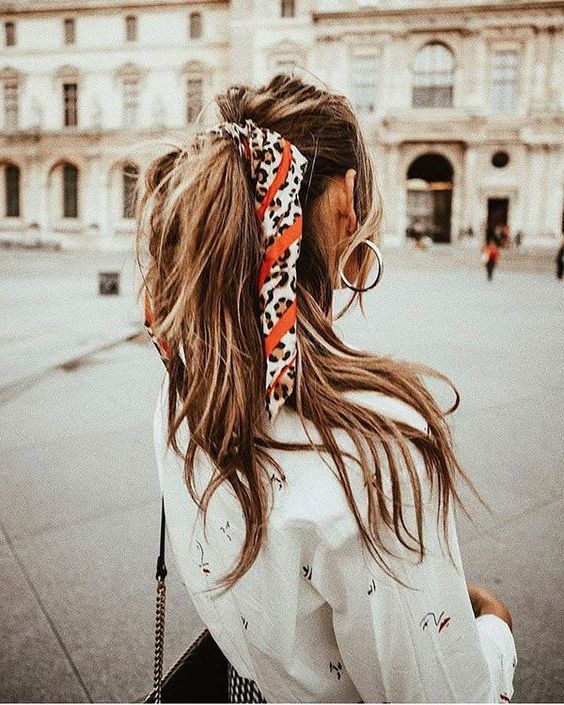 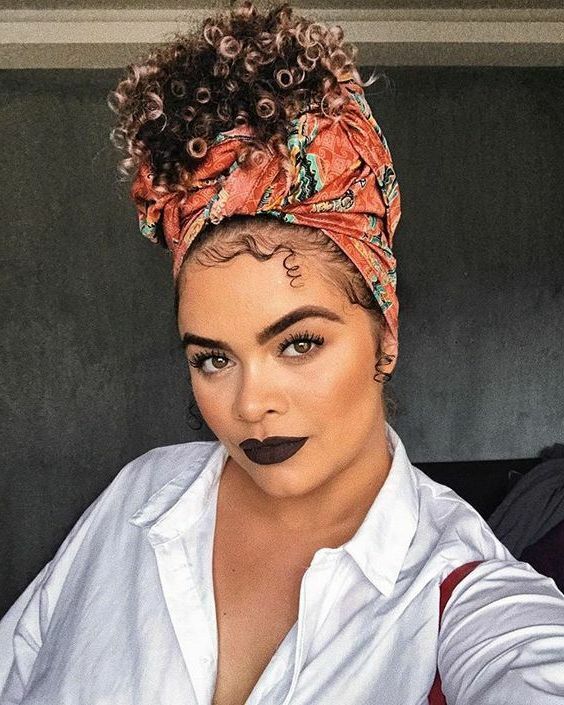 All you need is to tie the scarf around sleek or messy hair bun, this will create a chic style, complete the look with eye-catching earrings, a pair of sunglasses and gorgeous outfit. 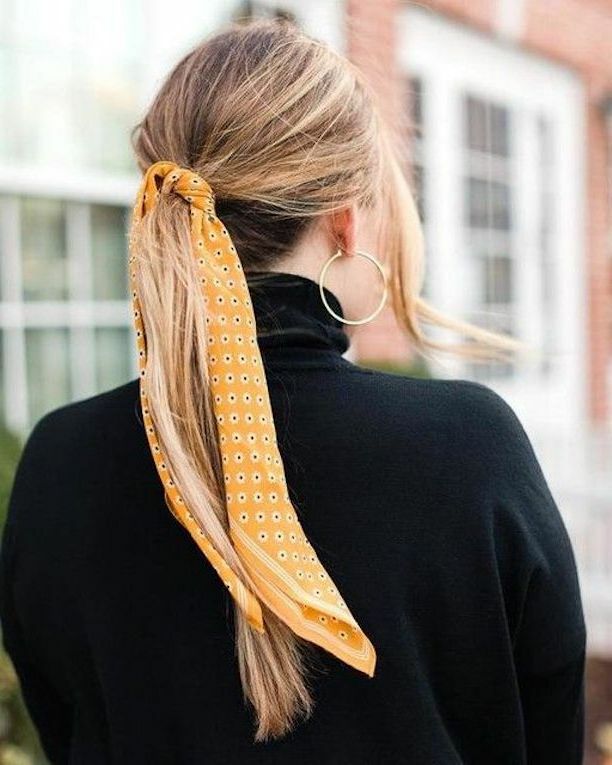 My favorite is the low ponytail look with a scarf, just tie it around the low loose ponytail and leave the ends out to be free when you walk. 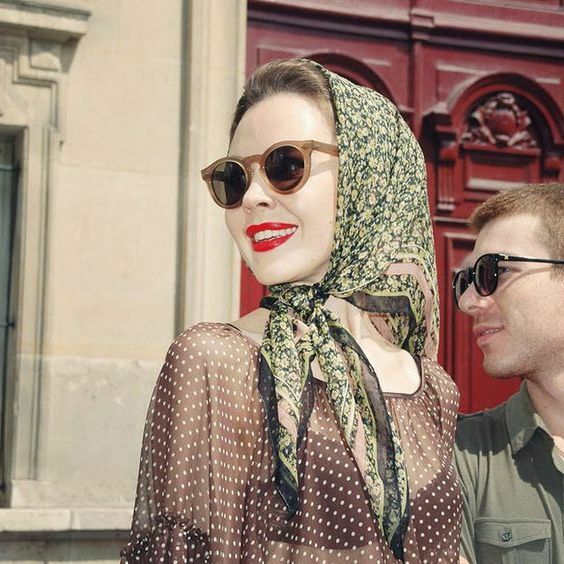 Looks very French chic to me. 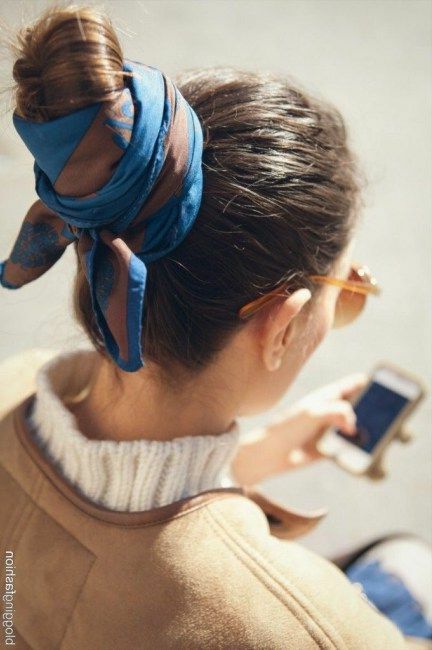 A high messy ponytail is another alternative, just tie around your scarf on a high ponytail and leave the ends loose. 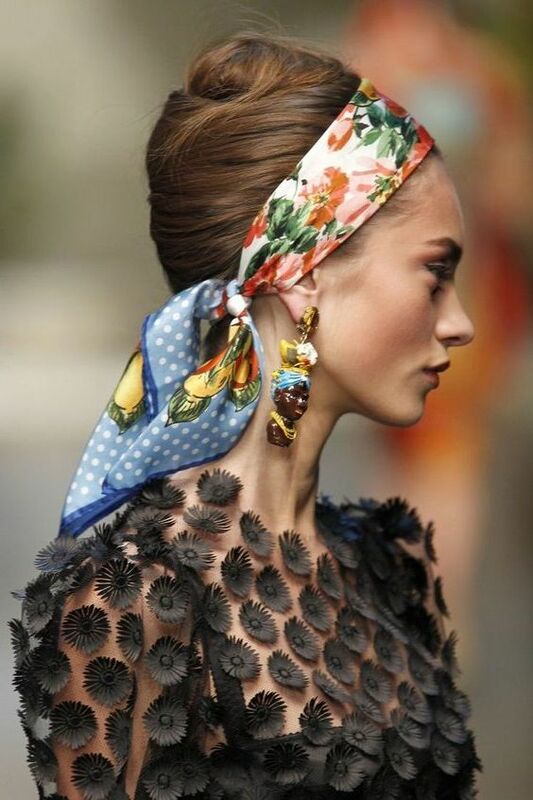 Another look is 1950 inspired style when the scarf is worn under your chin or at the back of your head. 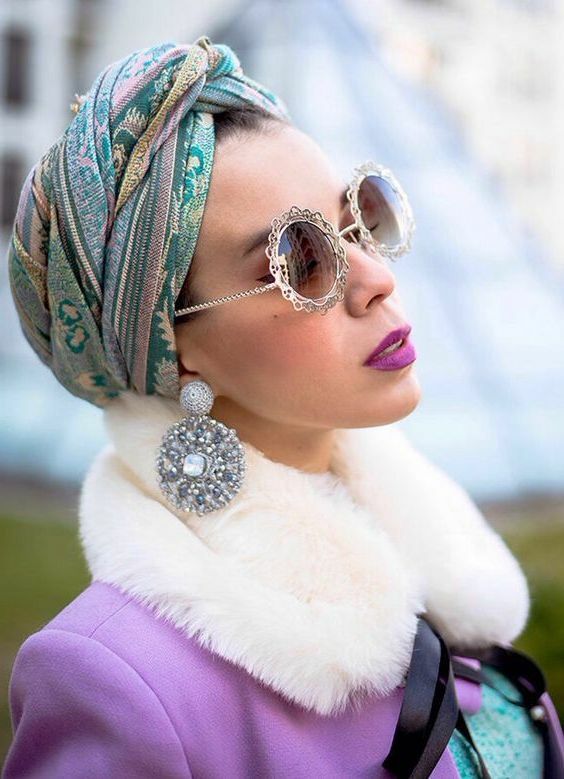 I do love to see women wearing a headscarf and sunglasses, it does look awesome and chic! 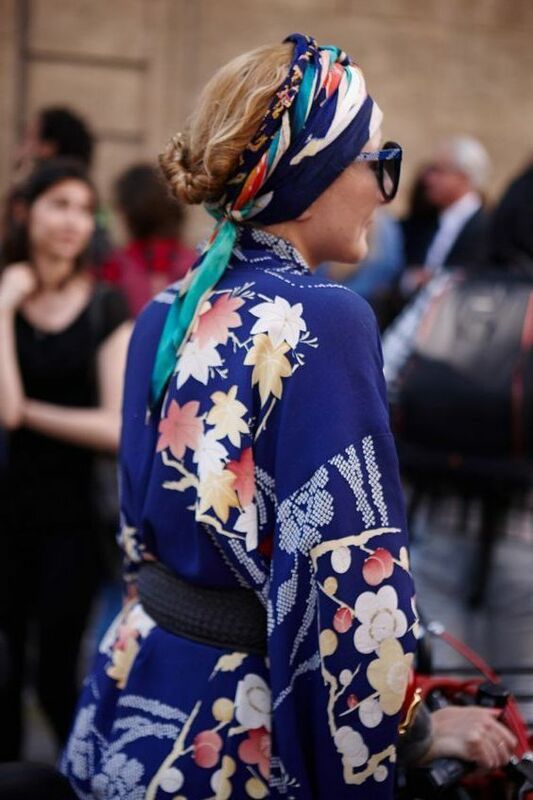 The headscarf and braids is another must-try look. 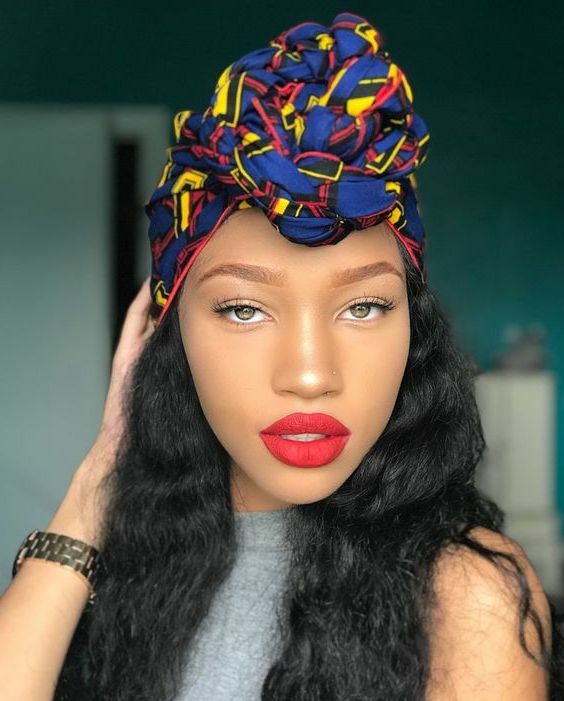 The result gonna make you stand out from the crowd, I am pretty sure, you gonna love it! 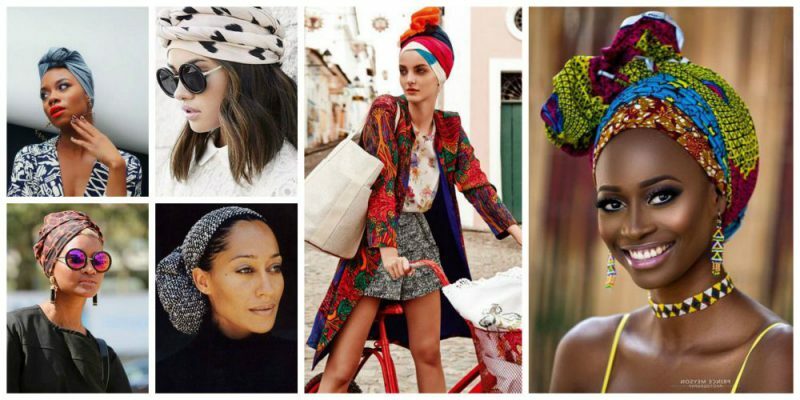 If you want to make a wow effect, then go for a headscarf and hat or with a cap! 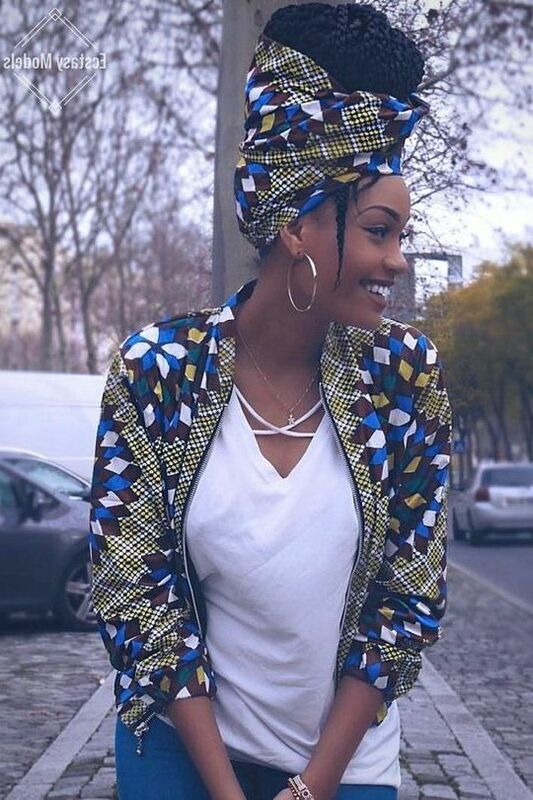 This combo looks sophisticated and easy to copy. 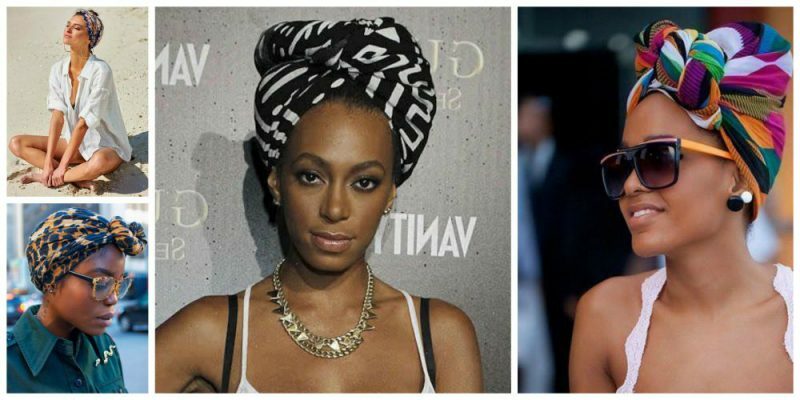 The headscarf does look cool with bangs, just make sure the scarf doesn’t damage your bangs. 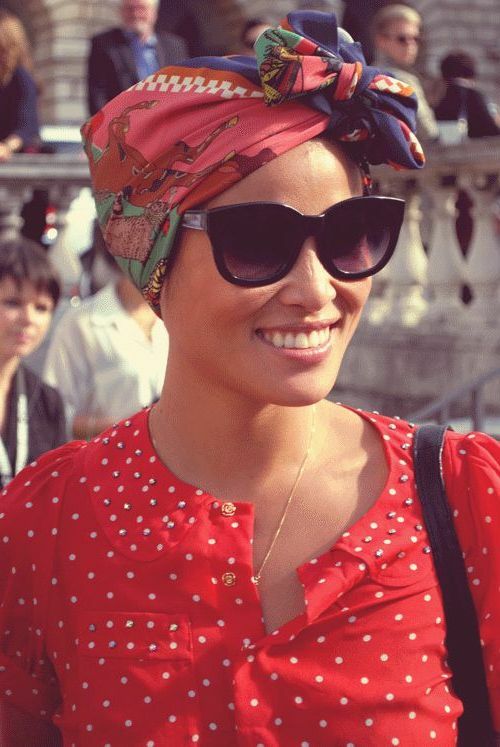 Even short hair ladies can wear headscarves, you are free to tie it in several ways. 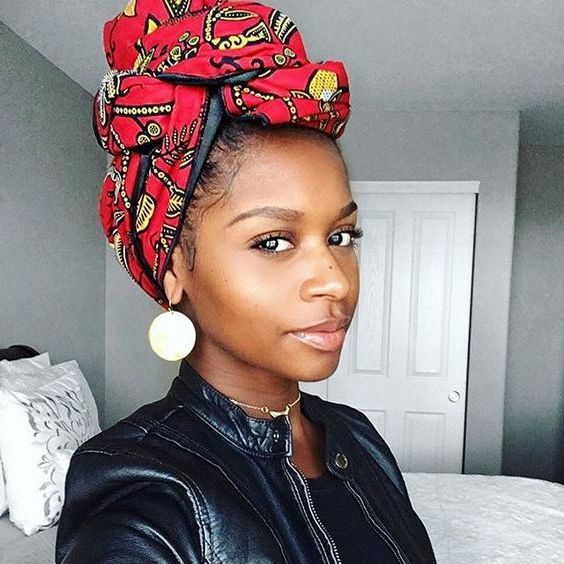 Headscarf with a hair down is another awesome idea to follow this year. 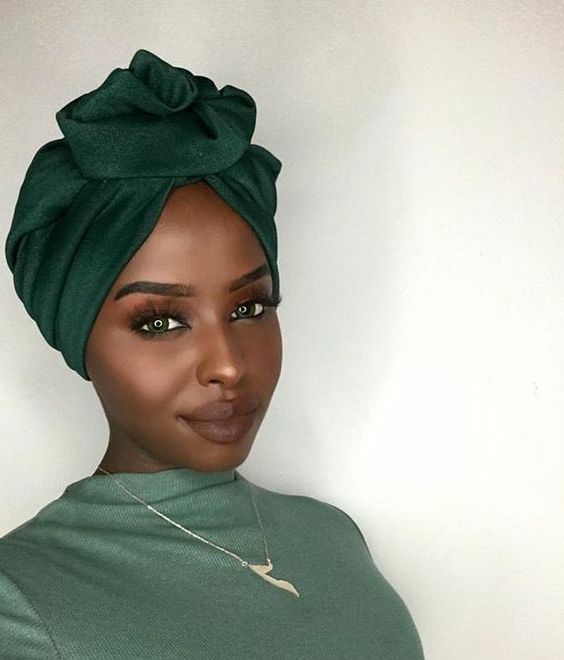 I am a big fan of wearing a headscarf with a knot in front, it makes me look fresh and creative.